Ok, taxes are not the most exciting topic in the world, but we know many of you request rent certificates every year so we wanted to make sure to get this information out to you. Here you will find instructions and links, plus some fun tax tips to make it a little easier to check this off your list!! The easiest way to request a rent certificate is to go to the Current Residents section of our website and follow the link to request a rent certificate. You can enter all of your information right on the website and then a request will be sent to our office to fill out the certificate for you. We can fax or email the rent certificates back to you within 2 business days of receiving the request. We will also leave copies of blank rent certificates in each office as well as at our main office for your convenience or you can download and print a form here. Please fill out the top section of the form with your information (name, address of apartment, and dates you resided at the apartment in 2014). You must have been a legal resident of Wisconsin for all of 2014, from January 1 through December 31. You must have been 18 years of age or older on December 31, 2014. You must not, at the time of filing a claim, be living in a nursing home and receiving Title XIX medical assistance. You must not be claiming Wisconsin farmland preservation credit for 2014. 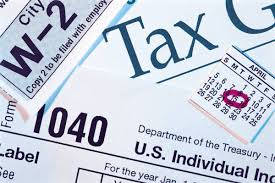 You must not be claiming the veterans and surviving spouses property tax credit on the 2014 real estate taxes. No claim may be filed on behalf of a person after his or her death. If you have any other questions regarding the rent certificate process please feel free to contact your property manager or our main office. So with all of that said, to make this entry a little more fun, below you will find 10 Strange but Legitimate Federal Tax Deductions. Good luck with your 2014 taxes!